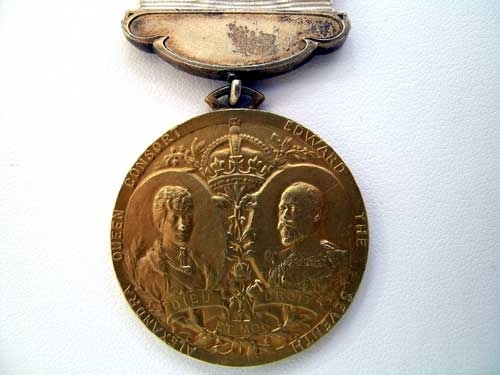 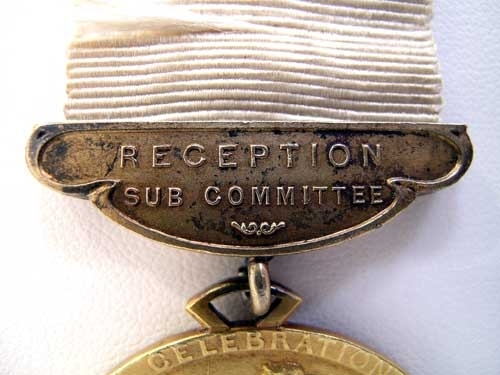 Very fine Coronation Medal of "RECEPTION SUB COMMITTEE". 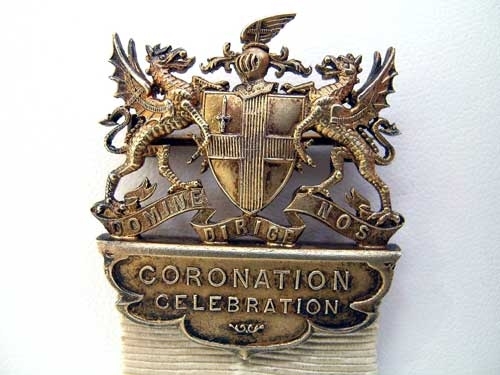 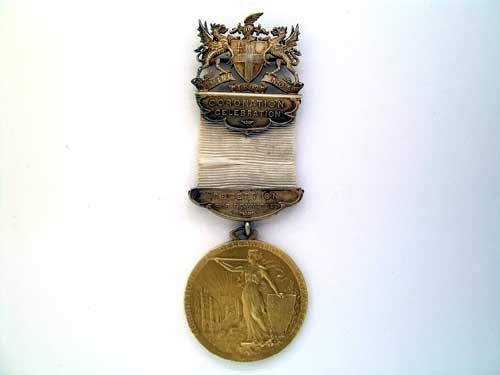 This very finely detailed GOLD medal measures 34.30mm; suspended from silver gilt "CORONATION" plaque, mounted on light blue original ribbon, all toped with elaborate Coat of Arms. 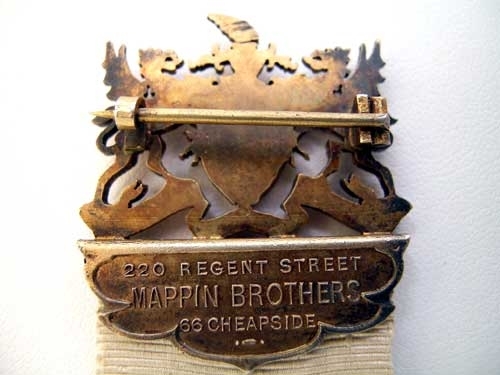 Made by MAPPIN BROTHERS (medal stamped on the rim). 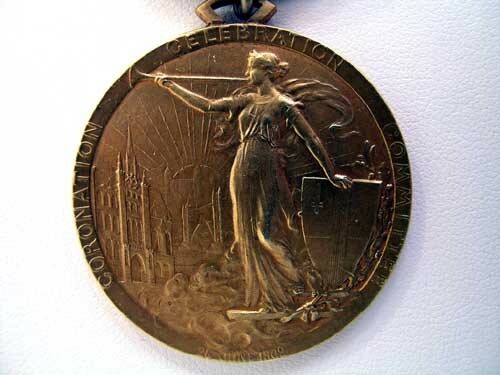 Very attractive, scarce.